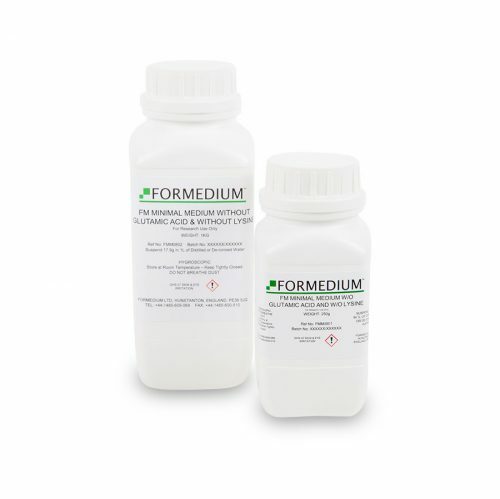 This media is based on well defined formulations of mineral salts, vitamins and amino acids. 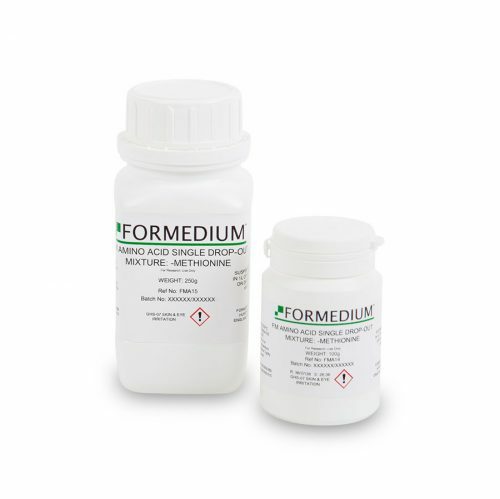 Two commonly used synthetic defined minimal Dictystelium Discoideum media are FM and SIH. 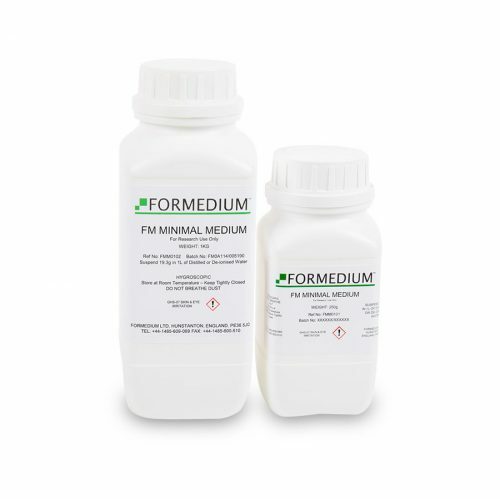 FM medium developed by Franke and Kessin is used for transformation of Dictyostelium Discoideum and genomic studies. 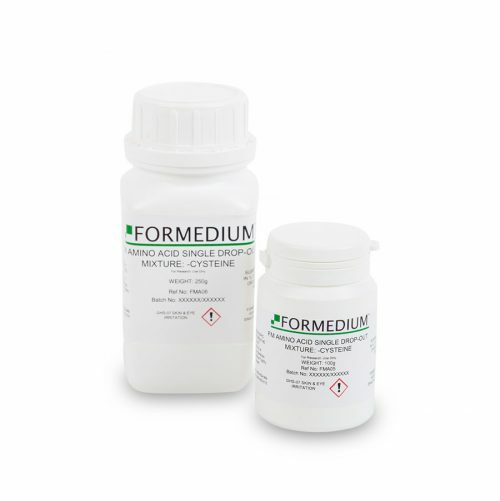 This formulation supports the growth of most strains that are capable of growing on HL5. 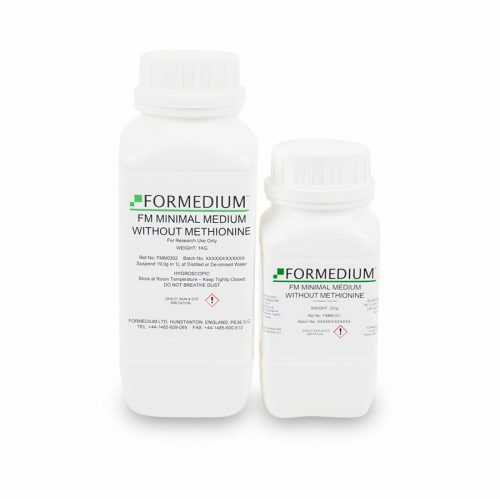 SIH medium is a newly developed modification of FM with regards to its amino acid compostion. Aspartic acid is added. 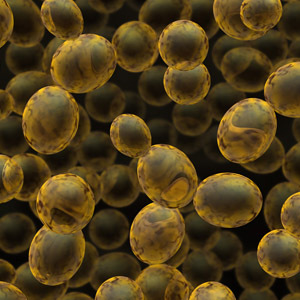 Tryptophane and Lysine concentrations are significantly increased, resulting in an increase of cell density up to 5 x 10^7. 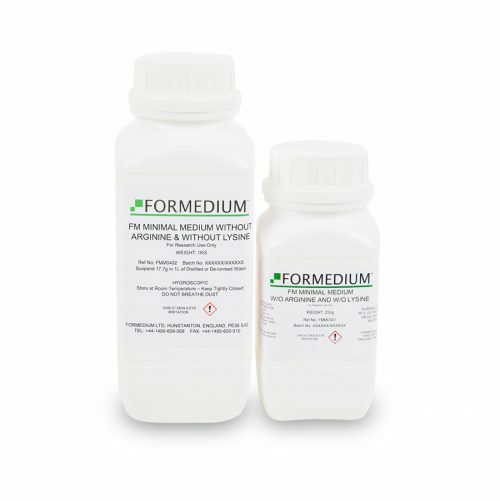 Both FM and SIH media are based on mineral salts in micro and macro concentrations supplemented with several vitamins. 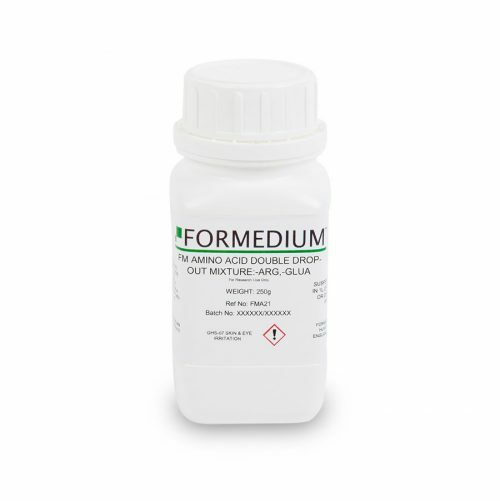 Besides these components, there is a large group of amino acids present. 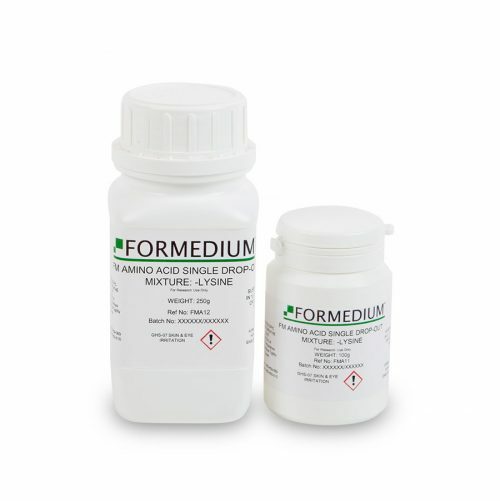 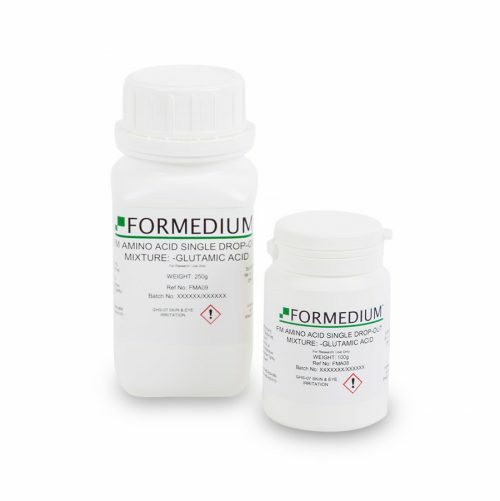 To facilitate genetic studies Formedium™offers complete formulations of FM and SIH as well as both media lacking various amino acids such as without Arginine, Glutamic Acid, Lysine and Methionine. 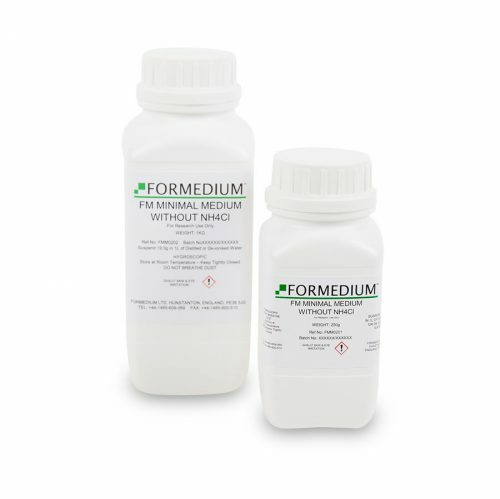 New to our range of synthetic media are FM and SIH without all amino acids. These two newly developed media combined with a range of amino acid drop-out mixtures gives the option to make every synthetic drop-out medium required for genetic studies. Process Biochemistry, 39 (8), 925 – 930, 2004. FM Amino acid drop-out mixture is based on the Amino acids present in FM Minimal medium. These Amino acids form a basis for many "Drop-Out" mixtures to select for auxotrophic requirements and transformants. 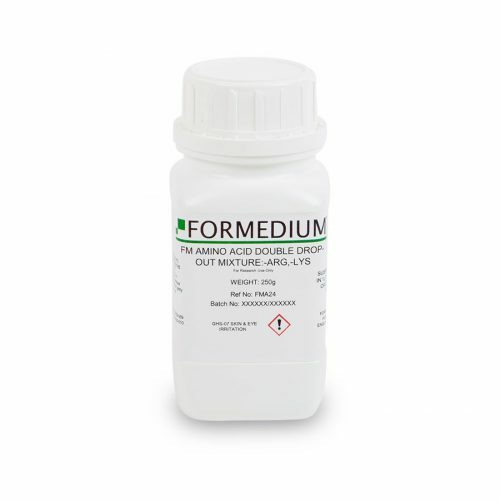 Each FM Drop-Out mixture contain all components except for one or two essential Amino acids, i.e. 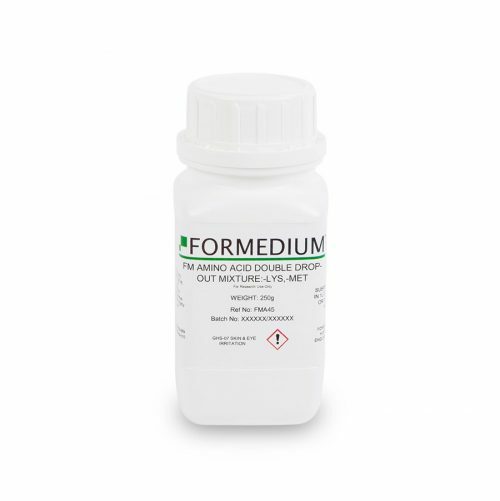 the "dropped out" supplements. FM Amino acids drop-out mixtures are used in combination with FM Minimal medium w/o Amino acids or FM Minimal medium w/o Amino acids and w/o Ammonium chloride to complete the medium.Complete Supplement Mixture formulations are available in 25 gram and 250 gram pack sizes.Please enquire about custom made formulations.